The National Golf Centre of England is located in what could be called the “Pinehurst” of England, the town of Woodhall Spa in north central England, appearing suddenly after miles of featureless terrain. 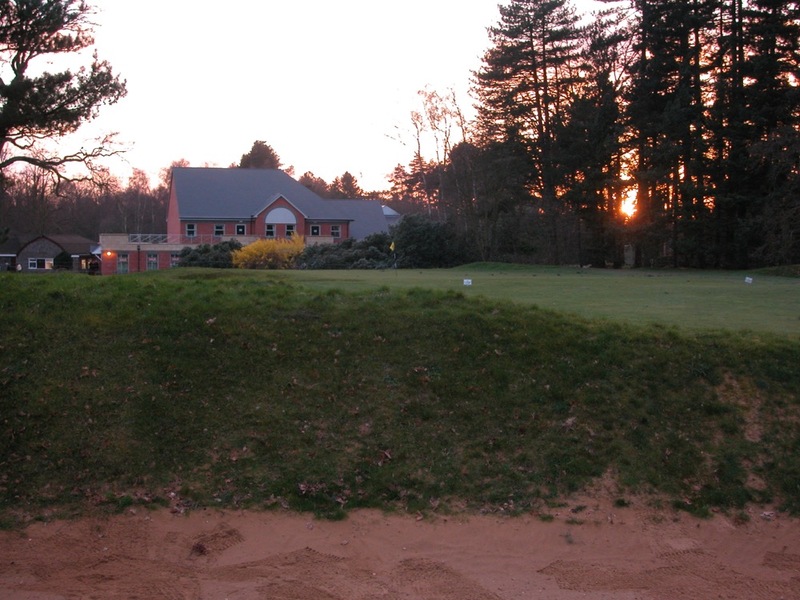 Woodhall Spa is an oasis of pines, pretty homes, and of course, golf. 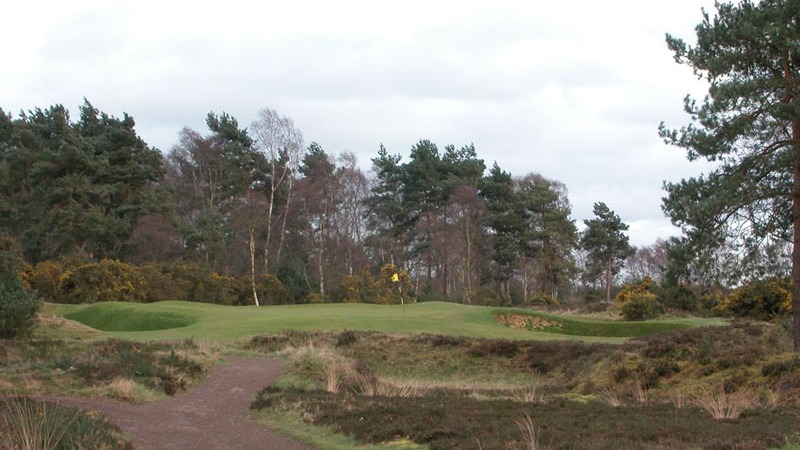 There are two courses here at Woodhall Spa Golf Club, the Hotchkin and the Bracken, but the Hotchkin Course is what puts Woodhall Spa Golf Club on the map, ranked in the world’s top 30 and worthy of higher acclaim. 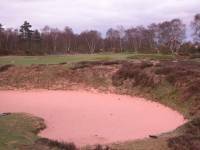 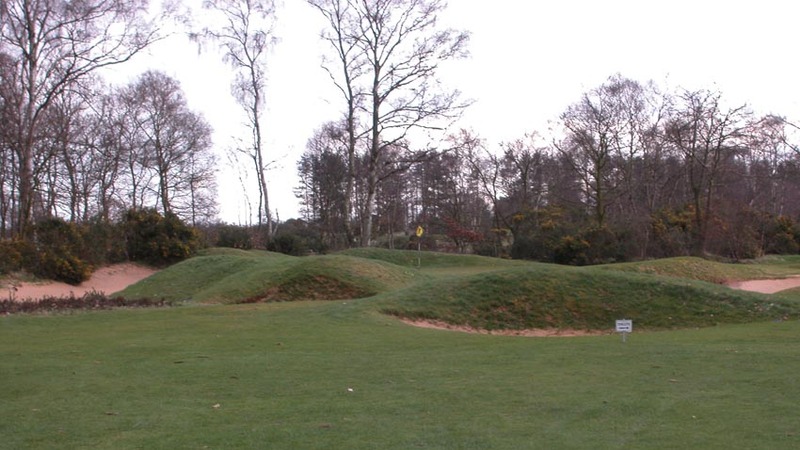 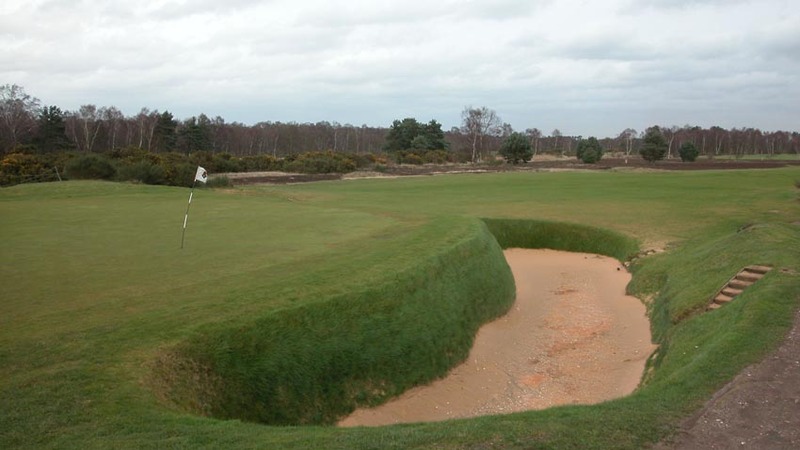 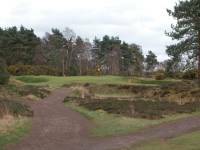 A heathland classic, Woodhall Spa Golf Club Hotchkin Course is one of the most intimidating, difficult, and demanding courses anywhere, with some of the deepest bunkering we have ever seen. 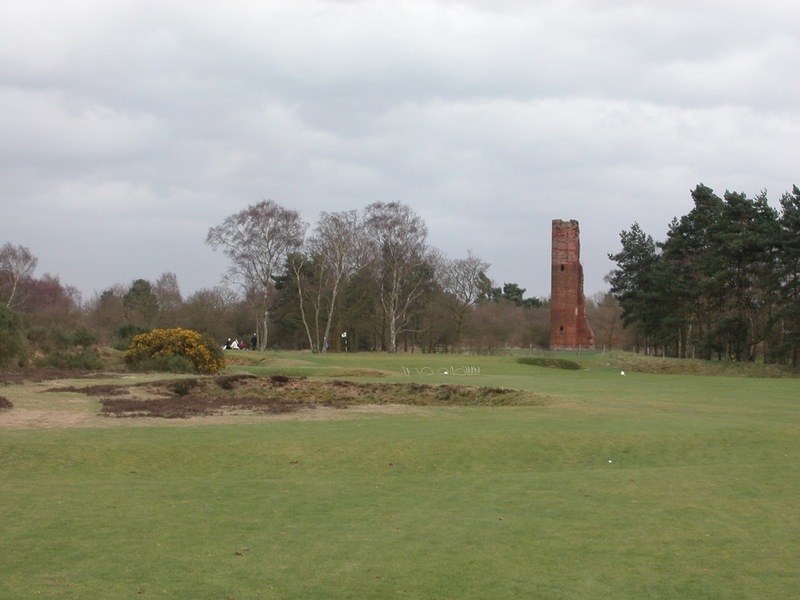 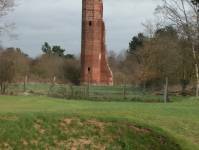 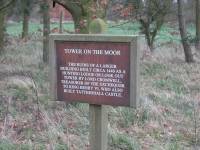 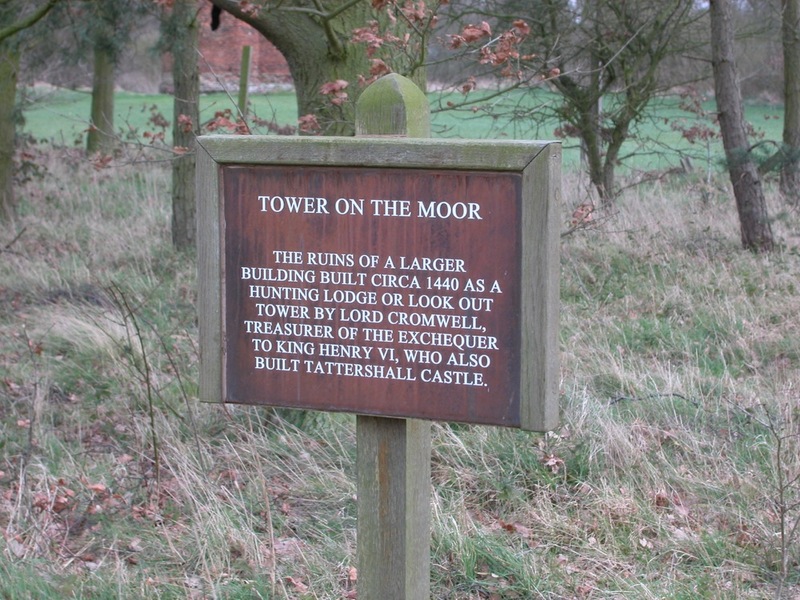 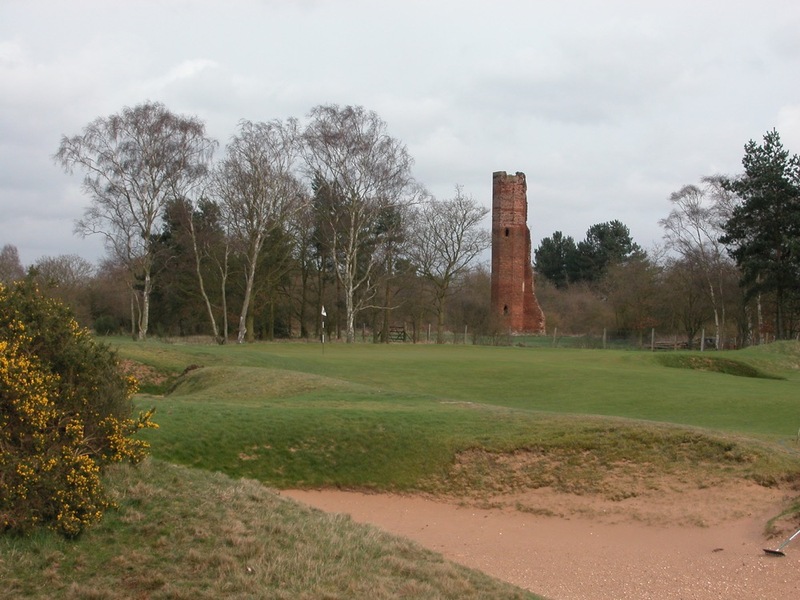 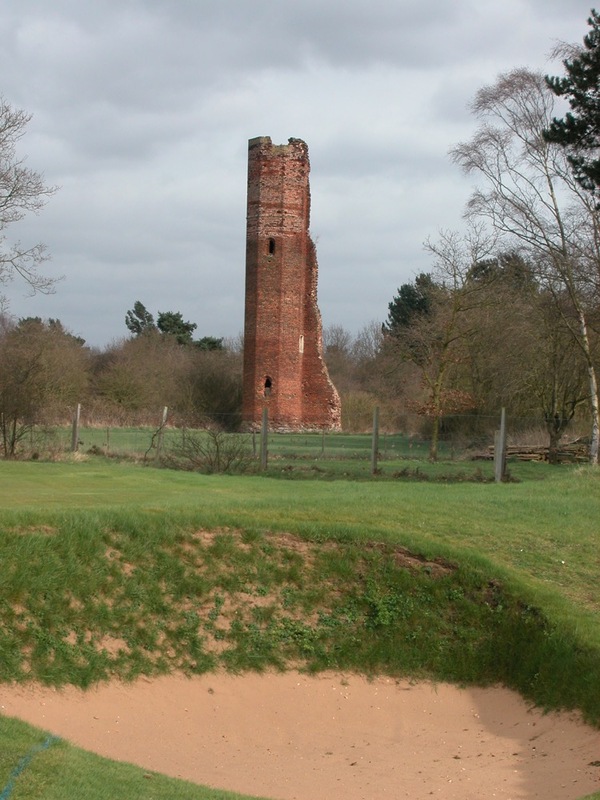 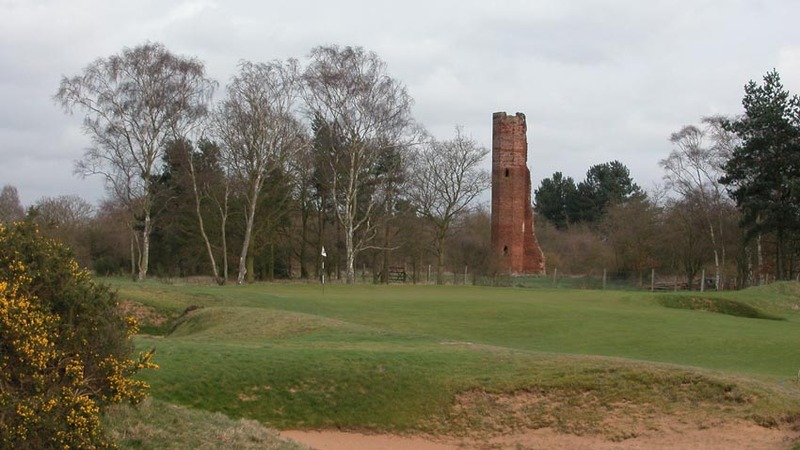 Woodhall Spa Hotchkin Course winds through the heathland, past an ancient ruin called the Tower on the Moor (one of our favorites, a 13th-century hunting lodge behind the 3rd green), with tons of heather, gorse, and bracken along the way waiting to snag an errant shot. 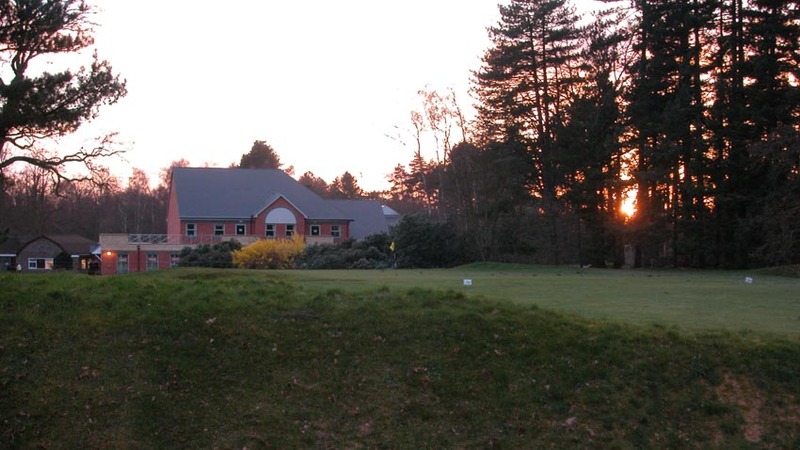 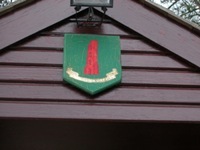 Woodhall Spa Golf Club Hotchkin Course is exceedingly long as well, over 7000 yards from the back tees. 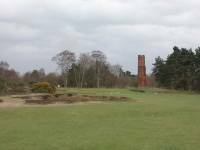 It is also a real change of pace from the great private clubs of Norfolk, as Woodhall Spa Golf Club is the home of the English Golf Union. Like Pinehurst and St. Andrews, Woodhall Spa is a “home” of golf for the masses. 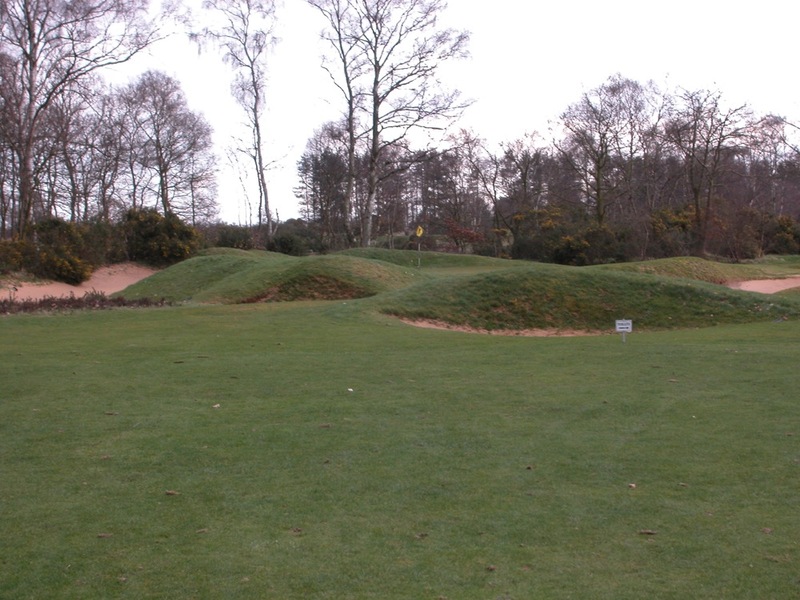 But few of these visitors come from overseas, and Woodhall Spa Golf Club, especially the Hotchkin Course, is another opportunity to be the first among those you know to play one of the greatest golf courses in the world here in England!